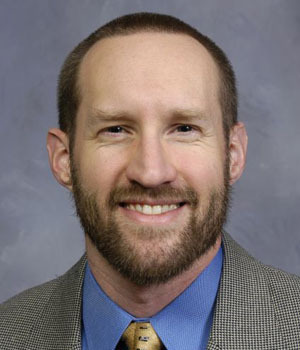 In addition to directing the Exercise & Environmental Physiology Lab, Dr. Halliwill is also co-director of the Evonuk Environmental Physiology Core and was a co-founder of the Bowerman Sports Science Clinic. Throughout my career, my research has focused on identifying the hormonal, neural, or metabolic factors that are responsible for changes in the cardiovascular system during exposure to environmental and physical stresses. I believe we learn much more about the cardiovascular system when we challenge it. Just sitting around, we won’t know what it is capable of doing. Push it with a stress such as exercise or altitude, and we get to see how robust a system it is, we gain insight into what can go wrong, and we can catch a glimpse of what disease is all about. While research from my lab varies from year to year, this is the common theme. Here’s a snapshot of the current work: Exercise has beneficial effects on cardiovascular health that go beyond what can be explained by the improvement of traditional risk factors. The studies we are currently conducting are designed to understand the mechanisms that underlie some of these beneficial effects of exercise, particularly in an aged population. These studies may provide information that is pertinent to the use of exercise in the prevention and treatment of peripheral artery disease, endothelial dysfunction, high blood pressure and other cardiovascular diseases, and set the stage for new vascular health interventions targeted at older individuals. I believe they will provide scientific knowledge that should improve the health and well-being of many individuals. Dr. Halliwill talks about using exercise and environmental stress to learn about the human condition.